There are certain principles that you need to keep in mind while working on your website’s search engine optimization. First of all, the keywords need to be placed properly. Make sure you’re using the right keywords in the right places for maximum benefit. Next, add your internal links to relevant content on your website. Don’t forget your sitemap! 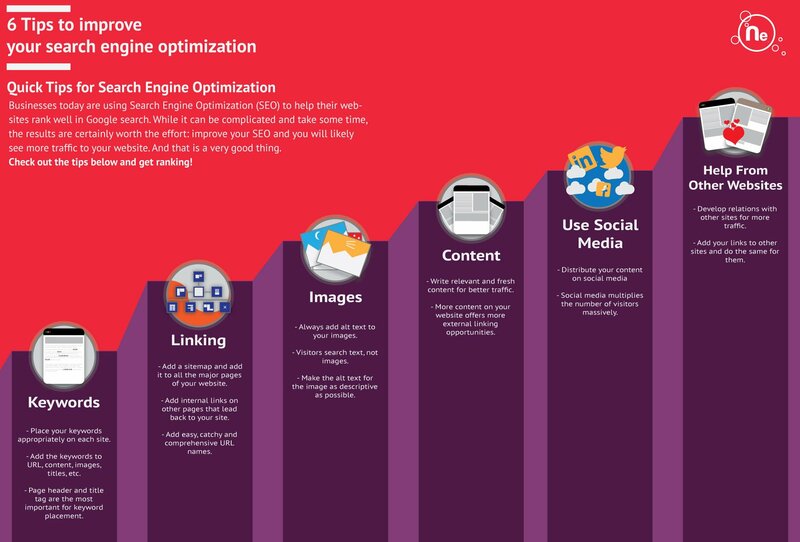 Always use images, and optimize them properly. Remember: the alt text makes your site more search engine friendly and more accessible. Fresh and relevant content needs to be written continuously. It might seem daunting at first, but it’s worth the effort to attract new traffic, build trust, and help complement your other marketing efforts. Of course, don’t neglect your social media platforms! Last, but certainly not the least, relations with other websites need to be developed in order to get more traffic. This step is frequently overlooked, but it’s vital to your SEO success and to the health of your business.